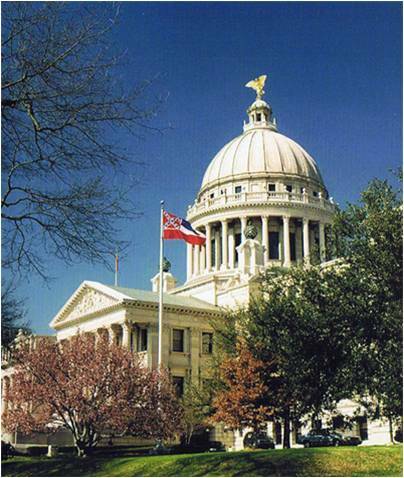 MISSISSIPPI STATE FIREARM OWNERS ASSN. WHERE: Southwest Gun Club’s Bogue Chitto Range. 4 miles East of I-55 Exit 30. Drive to US Highway 51 turn left and drive to Hog Chain Road, Turn Right and drive over railroad tracks and turn right on the next Dirt road. Drive to stop sign and turn right on Pricedale Rd. Drive approximately 4 miles and take a left on Hunters Road. The range is 2.5 miles up Hunters Road, Look for sign on the right side of the road. WHEN: 10/16/04. To assure a place to shoot, you must pre-register. Sign-up time is 8:30AM and shooting starts at 9:00AM. Maximum number of shooters 20. RULES: NRA Black Powder Rifle Rules shall apply. ENTRY FEES: $25.00 including NRA competitor fees. All competitors shall be members of the MSFOA or a reciprocal State Association (LA & TX do not reciprocate with MS but in this tournament, MS will recognize LA Association Membership). All Shooters must be a member of the NRA, except Juniors that belong to an NRA affiliated club. Any out of State shooter that does not have a membership in a reciprocating State Association will have to join the MSFOA. RIFLES: must be either an original or reproduction single shot cartridge rifle capable of being fired safely. Rifle must not weigh more than 15 pounds unloaded , with all accessories installed. SIGHTS: must be metallic and a reproduction of open or tang rear sights. Wind Gauge front globe sights may be used. AMMUNITION: must be loaded with solid lead bullets, lubricated or paper patched. Black powder or Pyrodex powder may be used. 20% of the breech loading cartridge load may be smokeless powder. Breech loading ammunition may be fixed or breech seated. No gas checked bullets may be used. Cotton shooting jackets may be used. Shoulder pads and elbow pads are legal. Gloves may be used if they do not provide artificial support. 10 Shots for record and sighters in 30 minutes, standing at 200 yards on the SR Target. 10 shots for record and sighters in 30 minutes, prone with cross sticks at 600 yards on the MR1 target. Cleaning bore between shots is OK. Use of a blow tube is OK. No slings may be used in cojunction with cross sticks. There will be a Mississippi and Louisiana State Champion recognized. If the match winner is a non-resident of either State, there will be an Overall Winner recognized. Plaques will be awarded for Match Winners and Winners in each classification, if there are 3 or more shooters in each Class.